I tried to think of a fancy intro for this post, something that expresses how much I adore Too Faced products, particularly their eyeshadow palettes. But I was coming up trumps, because you all know how much I swear by their shadows – I rave about them on social media all the time. Their palettes are some of my all time favourites and I’m first in line when there’s a cute new set available. 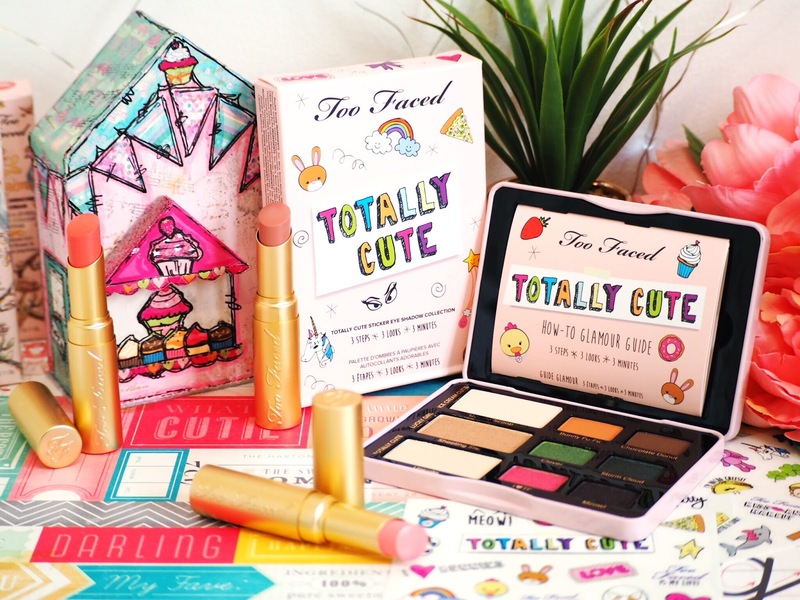 Too Faced manage to make everything about their brand fun, quirky, cute and extremely girly. Which I guess is why I own, or have tried, almost every Too Faced product there is. No lie. 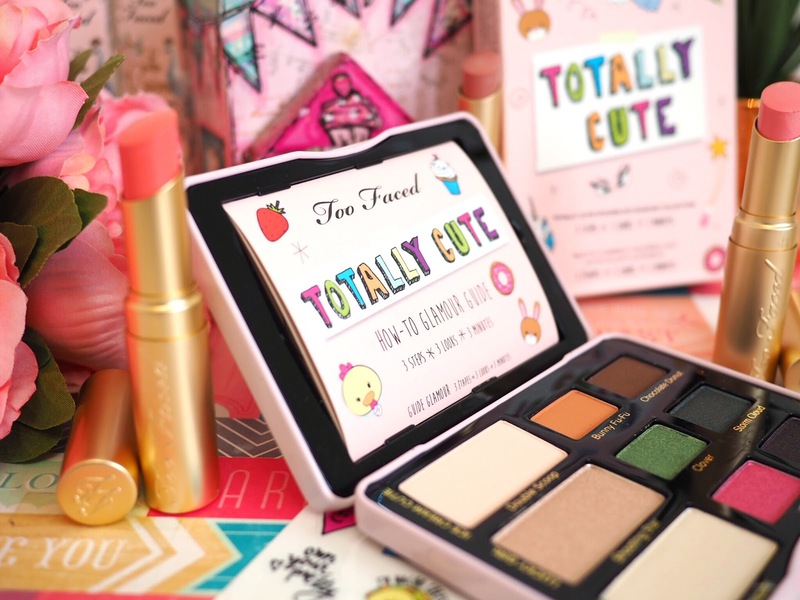 Latest in my collection was the Totally Cute palette. 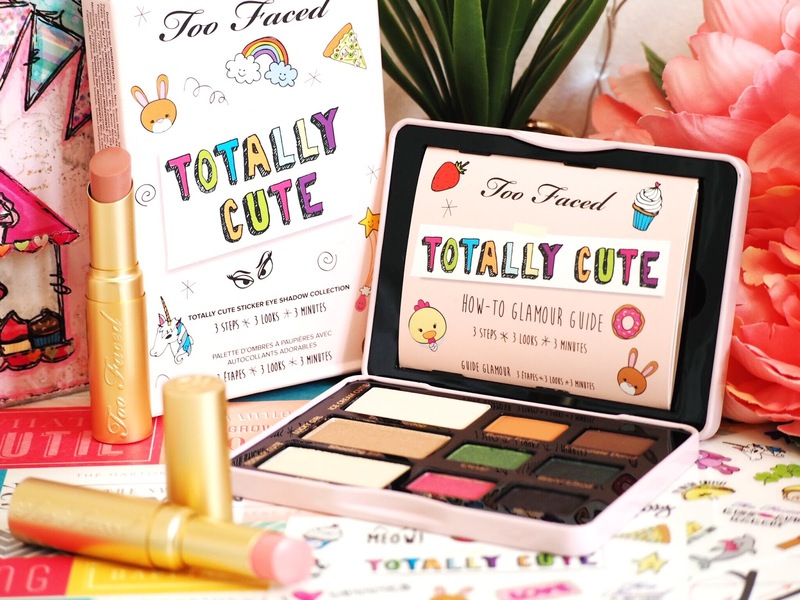 Which ticks every box as a Too Faced fan. From the get-go I was excited about this palette because not only are all nine shades brand new (sweet heavens, thank you!) but the packaging is ridiculously cute. 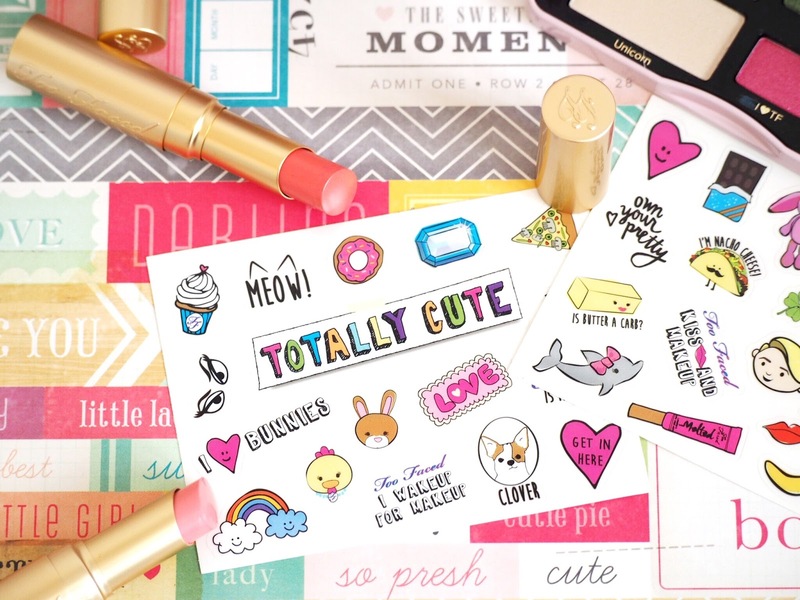 The box itself comes with two sheets of pretty stickers for you to adorn the palette casing. Which means you can go all out, or keep things simple. For the diary and planner lovers out there, you’ll also enjoy being able to use the left overs in your diaries etc. I know mine looks cute with a few of these now dotted through the next few weeks. The palette itself is a mixture of shades – completely one end of the spectrum to the other. Which is good for me right now because I’ve been living in the safety zone with my tone choice palettes recently. And it’s good to step outside of your comfort zone once in a while hey? Shade wise there’s three matte colours and six shimmer finishes. 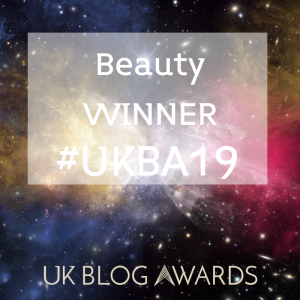 Within that you’ve got some neutrals and then some great warm tones for creases and transition shades, along with four pop-of-colour shades to help add an extra dimension to your lids. Personal favourites for me would be Shooting Star (middle row, far left) and Chocolate Donut (top row, far right) along with Meow (bottom row, far right) which is gorgeous aubergine purple with subtle shimmer finish – perfect for those winter nights out. It looks amazing with plum and red lips. 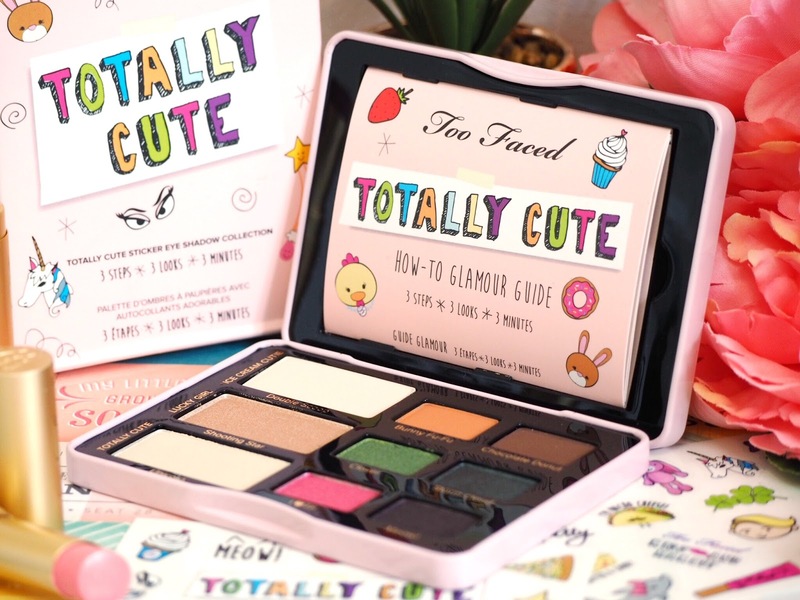 The Totally Cute palette also comes with a handy How-To Glamour Guide which teaches you three different looks that can be applied in three steps, in under three minutes. Perfect for some eye inspo when you’re short of time. Pigmentation wise, Too Faced never disappoint. 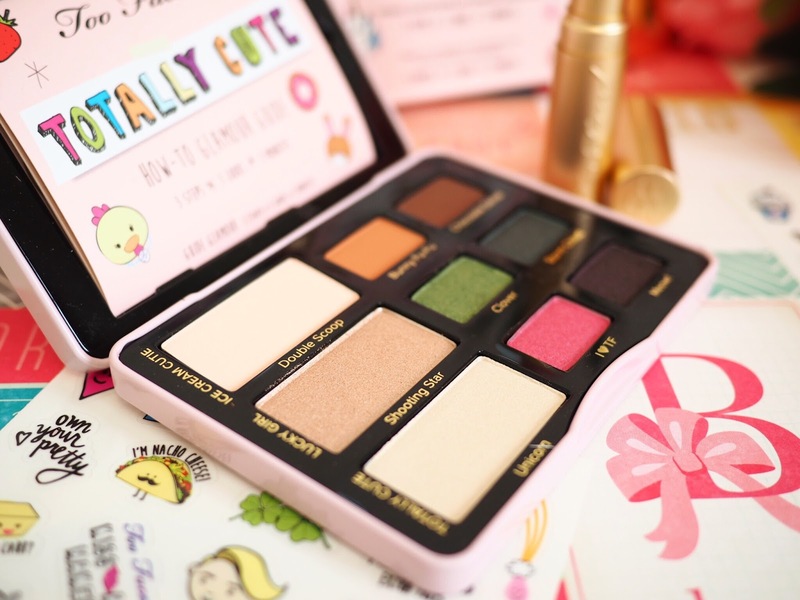 Rich, creamy and easy to blend, the shadows in the Totally Cute palette are no less impressive than their others. As always, I recommend using an eyeshadow primer on your lids before applying anything, not just for the lifespan of your shadows, but also to truly get the best foundation for your shades. The colours will pop just that little bit more, shine with that little bit more sparkle and last that little bit longer when you’ve used a primer. So, Too Faced wanted a palette that was bang on trend, and I’m reminded a lot of Instagram with this. 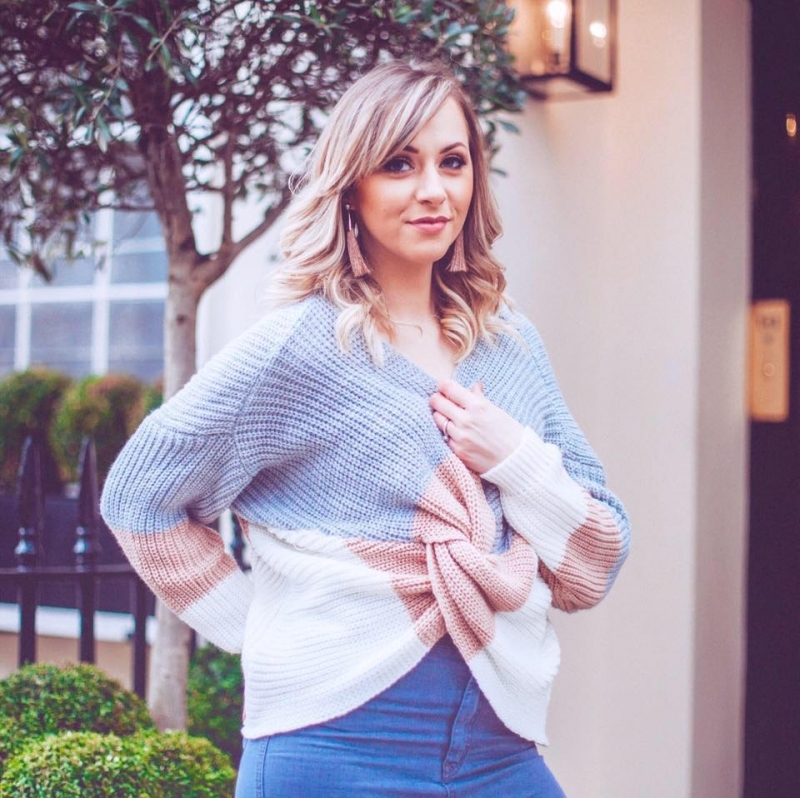 It’s got everything the girlie-girl could want, from the mass of pink packaging and the stickers, to the bright colours and yet the romanticism of the cute neutrals. It might not scream maturity, but the girl in me adores this palette. And as ever, Too Faced have allowed me to indulge my make-up lust with a completely different style palette to any others I’ve seen. Kudos again Too Faced. What do you think? Totally Cute right? Will you be giving this a go?